These doughnuts are a classic breakfast item. Flavor your glaze with chocolate or maple spread for different flavors. 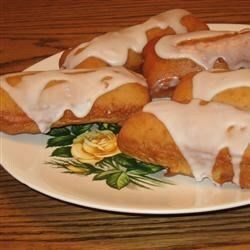 To make the glaze, mix the confectioners’ sugar with enough water to make it able to drizzle in a long strand. Adjust amounts if necessary.